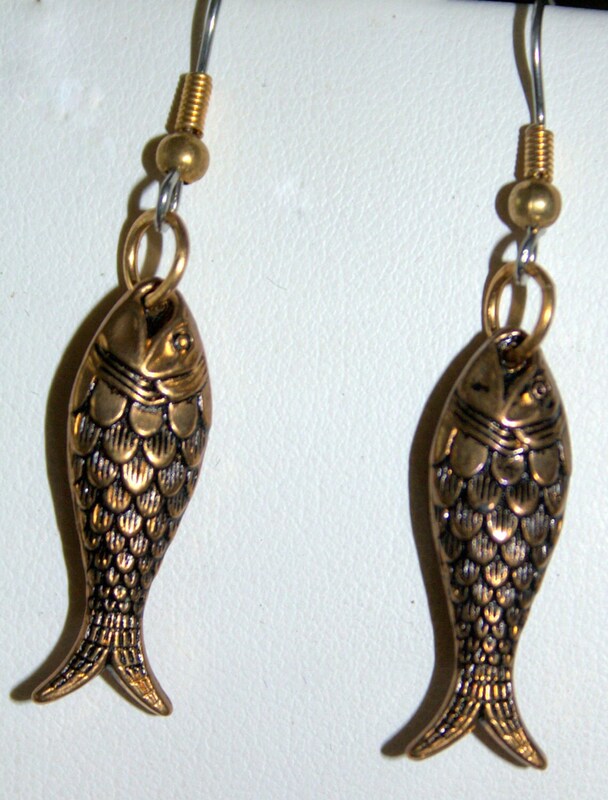 Chinese Fish are made out of an antique brass that has a rosy glow. They have a realistic scaly pattern on them and are light weight. The fish hang @ 1 1/2" from the ear on French wires.